I recently had a great opportunity to visit a friend from high school, who now lives in Florida. There were 5 of us all together, and all friends from high school. A few of them even go back to elementary school or earlier! This was a list I made after traveling. pool areas/patio/decks. We hung out and it's just the one errant bugger that somehow got in and of course, found me. 5. People leaving one of something so they don't have to replace/refill it and then you are the "lucky one" who gets 3 things in a row to refill/replace. 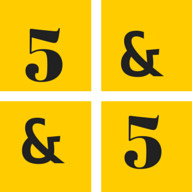 5a) Do I have to stop at 5? sooooo much more. Went to Connecticut at saw parents and sister. 4. Too little time to spend with cool people! 2. Laughing so hard that I almost peed my pants. Lots of times. 5. One of the best vacations ever!